In this Episode of the Online Dating Expert BootCamp, Julie Spira critiques Lauren’s emails that she’s sending to potential daters. Much to her surprise, Lauren’s emails were filled with grammar problems and she started her emails with the word, “Hey.” Julie reminded Lauren that horses hang out in hay, not a marriage-minded single woman from Beverly Hills. Remember to always use spell check and grammar check on all of your online dating emails and respond in a timely fashion to attract your dream date. For more on Online Dating Bootcamp and to follow Lauren’s progress while she’s looking for love online, visit CyberDatingExpert.com and follow @JulieSpira on Twitter. In an ongoing series with YourTango, I’ve been helping Lauren find love on Match. As I critiqued her profile, we needed to make changes in her geographic area as she only wanted to meet men within a ten mile radius. This wasn’t realistic. Think about it. If you could fall in love with someone on an airplane, would you mind if he lived an hour away? Watch as we hone done the profile, toss out photos that didn’t make her look her very best, and convinced her to date men a little bit younger, since she said she was only looking for someone 17-years older. Seriously Lauren, a mature man closer in age to you might be a great husband. 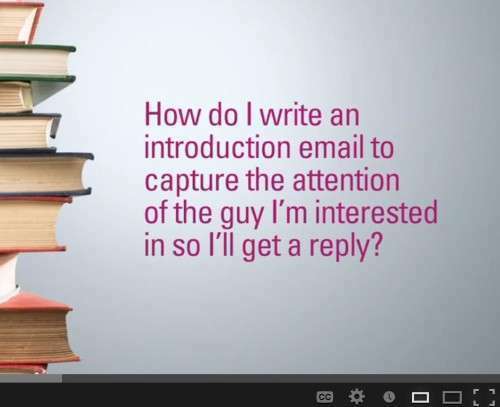 Watch as we cast a much wider net, so Lauren can find the man of her dreams online. Miss a previous episode of Online Dating BootCamp? Watch our videos here. Julie Spira is an online dating expert and was an early adopter of Internet Dating. She helps singles on the dating scene with her Irresistible coaching and is the author of the bestseller, The Perils of Cyber-Dating. For more online dating advice, follow @JulieSpira on Twitter and sign up for the free Weekly Flirt newsletter. In this episode of Online Dating BootCamp, Dating Expert Julie Spira works with Lauren from Beverly Hills who is looking for love online. Just how many photos should you post to your online dating profile? Lauren posted ten photos on her Match profile, but her primary shot showed her wearing sunglasses. Lauren explains that she likes sunglasses, but her stunning eyes were hiding behind her designer shades. An online dating no-no. Remember, women often dress for women. Men like the basics, not the labels. Other shots were blurry, artsy, and didn’t show Lauren at her best. Watch as we select the best five photos to attract the perfect date, taking into consideration how many “likes” each photo received by the men who viewed her profile. What photos don’t belong on dating profiles and what’s the magic number? Find out more by viewing our Online Dating BootCamp video. For more on Online Dating BootCamp, visit CyberDatingExpert.com. Julie Spira is an online dating expert and bestseller author of The Perils of Cyber-Dating: Confessions of a Hopeful Romantic Looking for Love Online. Julie was a very early adopter of Internet dating and is the CEO and founder of Cyber-Dating Expert. Julie creates irresistible profiles for singles on the dating scene. Follow @JulieSpira for dating advice and like us at Facebook.com/CyberDatingExpert.